We do have a King. This Sunday we celebrate the Feast of Christ the King, wherein we renew our desire to make Jesus Lord of our hearts and of the world. To help us fully appreciate the Kingship of Jesus – His formal and official Office as our King – the Holy Church gives us this Solemnity. We need to take this opportunity to fix our perspective, to adjust our vision to see Jesus as the One who has absolute authority to rule and reign over us. The Magi and Pilate called Him King. Jesus comes to Jerusalem as the gentle and humble King riding on a donkey – a symbol of a king arriving in peace. It is no coincidence that, the Feast of Christ the King and the last week of the liturgical year pass through the "secular" Feast of Thanksgiving this year. For the believer, there is no separation between the secular and the Sacred. In the great event of the Incarnation and the fullness of the Paschal Mystery, all is made new. Thanksgiving is a great Feast made even fuller in meaning for the Christian. The word "Eucharist" means Thanksgiving. Let us walk through this last week of the year and join with those whom we love around the table of Thanksgiving, and then let us walk the way of faith into the new Liturgical season, Advent, getting ourselves and the world of our own time ready for the coming of Christ. On this day, I am thanking God for His unconditional love. I am thanking you for your loving presence and prayerful support. I am thanking Mary Queen of Heaven Parish for your welcoming heart. I was also remembering my highlights in the last year. I was able to go to Holy land and I was able to walk in His footsteps. 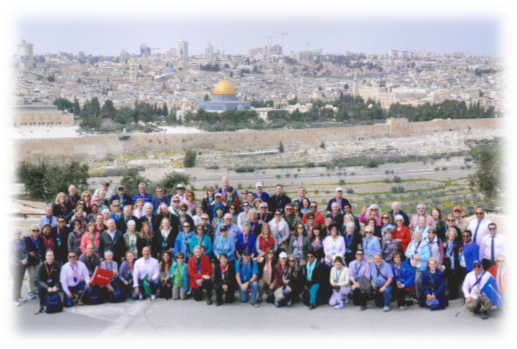 During the past year, I was able to minister to the people from six continents. I did a baptism from a baby from New Zealand. I officiated a funeral service for a person from Africa. I celebrated the Holy Eucharist for Indian community and I performed weddings for Mexican and Swedish couples. A pilot from Australia came here in my office for sacrament of reconciliation. 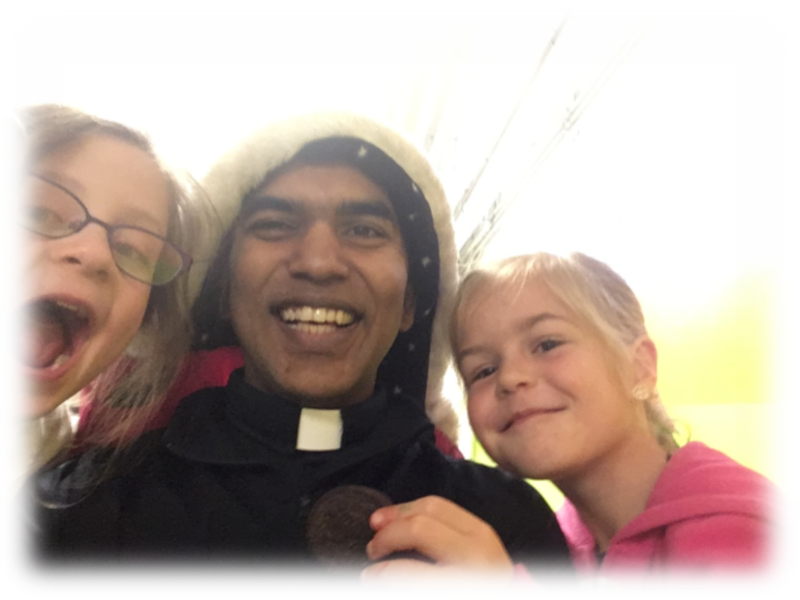 As a priest, I know it is my great privilege to minister to all the different categories of people and the people who belong to the different continents. I am thanking you for allowing me to bring God to your life. When Jesus comes, He brings joy to the Whole world. Last week when I was eating lunch with kindergarteners, they told me they wanted to show me how much candy they got for Halloween. They asked me: can you come to my house? During advent season, if anyone would like to get my visit in your house, please let me know. I am happy to visit your house and to bring more joy of God to you. Here is the selfie that I took with them.